The GFS Legal Verification Services & Wood Tracking Program is designed in accordance to ISO 9001-2015 procedural systems to mitigate risk of unknown & illegal material entering the supply chain through site evaluation to verify forests or plantation areas comply with Legal Regulations and that timber is traceable under a documented Chain of Custody and evaluation of Supplier Risk. Legal Verification Services (LVS) is a formal site evaluation to verify compliance of forest & plantation management to national / local regulations according to a documented legality standard. The LVS functions as a Due Diligence system to document compliance to a generic GFS LVS standard or Sabah Timber Legality Assurance Principles 1-6 (Sabah TLAS P1-6) or Sarawak Timber Legality Verification System Principles 1-6 (STLVS P1-6) as applicable. Annual Assessments are required to monitor and document continual compliance to the standard. 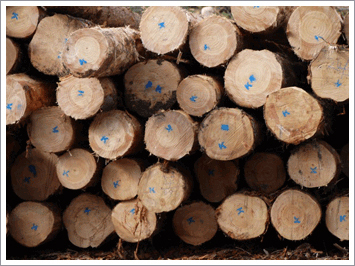 The Wood Tracking Program (WTP) is designed to verify a structured Chain of Custody system that tracks raw material from forest origin through processing and trade based on GFS WTP CoC requirements. Annual Assessment are required to monitor and document continual compliance to the standard. GFS provides monitoring of legal verification of ALL long-term forest management and licensed harvest areas in Sabah along with Manufacturing trading and Export companies. The Sabah Forest Legality Standard, (Sabah TLAS) for forest operations was developed by the Forestry Department Sabah (FDS) in conjunction with FLEGT VPA, forest industry and NGO support. GFS has been monitoring the Timber Legality Assurance System (TLAS) for forests in Sabah, Malaysia since May 2009 that is scheduled to continue through Dec 2019 supported by the Forestry Department Sabah and Yayasan Sabah Foundation. The Forestry Department of Sabah has placed the Sabah TLAS system under its ISO 9001-2008 quality management system. Thus, the Sabah TLAS consists of a formal Due Diligence system that entails independent monitoring by GFS as well as independent systems verification under the ISO 9001-2008 standard. The Sabah TLAS Legality Standard consists of 6 Principles; 25 Criteria and 128 Indicators that define the requirements for implementation of forestry; mill and trading activities to associated Sabah regulations. Sabah TLAS Principles 1-4 covers regulatory requirements for forest management while Principles 5-6 cover the requirements for manufacturing and trade as established under the FLEGT VPA negotiations. GFS issues a detailed assessment report for each area evaluated along with an Audit Statement if the area complies with the standard. Summary audit reports and Audit Statements are posted on the GFS Website under the Client Database / Legal Verification Services. FDS will issue a Compliance Certificate for licensed areas that demonstrate compliance based on GFS Audit Statement and report. Annual assessments are required to monitor continual compliance to the Sabah TLAS requirements. GFS also monitors ALL manufacturers and export companies to document compliance to the Sabah Legality Standard (Sabah TLAS Principles 5-6) for processing and trade. Sabah Timber Legality monitoring includes verification of legality and chain of custody system through manufacturing and trade based on FDS-TLAS-007. GFS conducts annual assessments for each licensed factory and trading company in Sabah to document compliance to the Sabah TLAS P5-6 requirements. Harwood Timber Sdn Bhd (HTSB). The agencies that regulate forestry operations include FDS for policy, management, licensing and enforcement; SFC for operational activities including harvesting, royalty assessment and log movement, HTSB for log inspection and the endorsement of logs to licensed mills or export. STIDC regulates manufacturing and trade of timber and timber products. The STLVS Standard was first presented to the timber industry for comments followed by pilot testing in July – Sept 2016 in 6 selected forest timber licenses and 6 manufacturing and export companies. Results of the pilot testing and the draft STLVS Standard was presented for comment and input to finalize the Principles / Criteria and indicators of the STLVS Legality Standard. The current STLVS Legality Standard consists of 6 Principles; 18 Criteria and 79 Indicators that define the requirements for implementation of forestry; mill and trading activities to associated Sarawak regulations. STLVS Principles 1-4 covers regulatory requirements for forest management while Principles 5-6 cover the requirements for manufacturing and trade. GFS conducts independent evaluation of individual licensed areas (FTL / LPF) Forest Management Companies in Sarawak on a voluntary basis to serve as a Due Diligence system to demonstrate compliance to the STLVS Principles 1-4. GFS Issues and Audit report and Statement of Compliance under the GFS LVS program to forest licensed areas that demonstrate compliance to the STLVS requirements. A summary of each audit report and Statement of Compliance is registered and posted on the Client Database in the GFS website for transparency under the GFS Legal Verification Service. Annual assessments are required to monitor continual compliance to the STLVS P1-4 requirements. GFS also provides verification for timber and wood products for Sarawak Malaysia based on documenting compliance for factories and trading companies against the Sarawak STLVS Principles 5-6 requirements. GFS conducts independent evaluation of Manufacturing and Trading Companies in Sarawak on a voluntary basis to serve as a Due Diligence system to demonstrate compliance to the STLVS Principles 5-6. GFS issues an audit report and Statement of Compliance under the GFS WTP program to each factory or trading company that demonstrates compliance to the STLVS requirements. A summary of each audit report and Statement of Compliance is registered and posted on the Client Database in the GFS website for transparency under the GFS Wood Tracking Program. Annual assessments are required to monitor continual compliance to the STLVS P5-6 requirements. Sarawak Timber Association (STA) along with the government agencies are supporting the implementation of the STLVS as a Due Diligence system for STLVS Verified timber products produced by Sarawak forestry, manufacturing and trading companies. STLVS Verified timber and wood products provide independent verification of compliance to the STLVS requirements to fulfill Japan Goho Wood, USA Lacey Act, Australian Illegal Logging Act and EUTR requirements. GFS conducts assessment and annual monitoring of wood manufacturers and traders under the Wood Tracking Program that comply with the Chain of Custody (CoC) requirements to track the material used in wood products to a verified legal forest or plantation area. The WTP includes a requirement for a Supplier Risk Assessment for all raw material and wood products to document the origin of all material as low / negligible risk to defined forest or plantation areas. Purchases of raw material and wood products must be vetted through a formal Risk Assessment that documents Low Risk of all material entering supply chain. The Risk Assessment consists of evaluating Country Level Risk; Species Risk & Operational Risk GFS-WI-006-WTP.2 Supplier Evaluation & Risk Assessment Guideline. Any material not considered low risk based on the Risk Matrix must not be used in a VL production unit under the GFS WTP. Annual assessments are required to monitor and document continual compliance to the standard. A summary of each audit report and Statement of Compliance is registered and posted on the Client Database in the GFS website for transparency under the GFS Wood Tracking Program. The EU has recently established regulations in December 2010 on the import and trade of timber and wood products that officially started on March 3, 2013. The regulation prohibits the placing on the EU market of illegally harvested timber and wood products derived from such timber. In absence of FLEGT Licensed Timber under VPA, the regulations require due diligence evaluation for legality of timber and wood products. Due diligence is based on 3 elements inherent to risk management: access to information; risk assessment and mitigation of the risk identified. The EU definition of legality is based on national regulations associated with harvesting timber, processing, trade and export of timber and wood products. Thus, the EU Timber Trade Regulations is based on compliance to regulations in both the forest and through the manufacture and supply chain. On May 22, 2008, the U.S. Congress passed an amendment to the Lacey Act banning commerce in illegally sourced plants and their products – including timber and wood products. Violation of the Lacey Act occurs when a plant is taken, harvested, possessed, transported, sol or exported in violation of an underlying law in any foreign country or the USA then subsequently traded in USA interstate or foreign commerce – thus, one must “import, export, transport, sell, receive, acquire or purchase. Under the amended Lacey Act, importers are required to submit a declaration for certain plants and plant products. The declaration must contain, among other things, the scientific name of the plant, value of the importation, quantity of the plant and name of the country from which the plant was harvested. Violations of the Lacey Act provisions may be prosecuted in three basic ways: (1) Civil-monetary penalties; (2) Criminal-fines, penalties and potential incarceration; or (3) Forfeiture-dispossession of the plant, fish or wildlife in question. taking plants from an officially protected area such as park or reserve. taking plants from other types of “officially designated areas” that are recognized by a country’s laws and regulations. taking plants without, or contrary to, the required authorization. failure to pay appropriate royalties taxes or fees associated with the plant’s harvest, transport or commerce. failure to comply with laws governing export or trans-shipment such as export log bans. The Australian Illegal Logging Prohibition Act 2012 prohibits the importation of illegally logged timber and the processing of illegally logged raw logs. The Act also requires importers of regulated timber products and processors of raw logs to conduct due diligence in order to reduce the risk that illegally logged timber is imported or processed. Importers of regulated timber products must provide declarations, at the time of import, to the Customs Minister about the due diligence that they have undertaken. The Government of Japan set requirement for verifying legality and sustainability of wood and wood products and decided to promote verified products as appropriate items for procurement of ministries and agencies, independent administrative institutions, special legal entities and so forth, by means of amending “Basic Policy on Promoting Green Purchasing” of “Law Concerning the Promotion of Procurement of Eco-Friendly Goods and Services by the State and Other Entities” (Law No.100 of 2000). Companies must voluntarily ensure that the wood products being used in public procurement project must be verified legal. How to comply with the current import regulations? Importers of timber and wood products need to demonstrate due diligence / due care which is basically exercising the requirements under due diligence to protect or mitigate exposure from identified risks. Import companies need to ensure adequate documentation in respect to legality of imported wood products either directly from their suppliers or through independent verification. The most practical way to undertake due care is to utilize independent systems for verification of legality and full certification. The GFS Wood Tracking Program & Legal Verification Service are designed to ensure that wood products can be traced to a legal forest or plantation area based on a formal risk assessment and/or field verification of legality of raw material that is not deemed low risk. Companies participating in the GFS WTP must have a formal Chain of Custody system to track material from purchasing through production and sale of wood products that meets the GFS standard GFS WTP: (GFS-WI-006-WTP.3 CoC Requirement ). All material traded under the GFS WTP must be 100% legal verified through risk assessment and (or) field evaluation of compliance as through the GFS Legal Verification Service. GFS issues Assessment Reports and Statements of Compliance for all organizations participating in the GFS Wood Tracking and Legal Verification Systems. The GFS website includes a Client Database for both the Wood Tracking Program and Legal Verification Service where key information on all companies participating in the WTP and LVS is posted for transparency of the programs. The Client Database includes information on the company; Summary – Assessment Reports and GFS Statements of Compliance. The GFS Wood Tracking Program and Legal Verification Service provides the documented evidence of compliance to enable importing companies and international organizations to verify the current status of each participating company in regards to forest management and operations and manufacturing / trade of Verified Legal timber and wood products.